The 21st of September is the International Day of Struggle Against Monoculture Tree Plantations. WRM and GRAIN put together a great grouping of videos that call attention to the impacts from large industrial oil palm plantations. Industrial oil palm plantations are rapidly expanding, not only in Liberia. In many African countries expansion projects are happening and plans are announced. Everywhere they go, the companies promise jobs and development. Everywhere, those promises are broken. Also available in Spanish, Portuguese and French. The very name of American-owned SGSOC - SG Sustainable Oils Cameroon, Ltd.- makes for a pro-environment, pro-resource image. kind of convoluted modern-day foreign investment going on in Africa. It is sadly all too familiar to communities on the ground. They are unimpressed with promises of infrastructure and jobs, and angry about their loss of land and livelihoods. 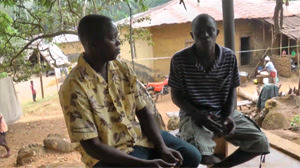 In Liberia, the Jogbahn Clan have been fighting against a palm oil company grabbing their land. 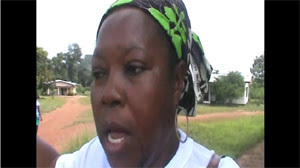 In March 2014 Liberia's President recognized their right to say no to British palm oil company Equatorial Palm Oil PLC. However, despite the President's commitment, EPO still has not recognised that the Clan said no to their operations. They are conducting studies on the Clan’s land in preparation for clearing. Only available in English. Wilmar International is developing palm oil plantations in biodiverse islands in Lake Victoria, Uganda. The first phase of the project finished in 2011. The second phase is currently going ahead, expanding palm oil plantations to several other islands. The project is being promoted as a poverty-reducing endeavor, yet it is causing displacement, food insecurity and deforestation. Palm oil is massively imported into Europe, to be used for food and biofuels. supported by local authorities (or local governments) like the Languedoc Roussillon region. In West Africa, where palm oil is produced, land grabbing by multinationals and the expropriation of people are skyrocketing. 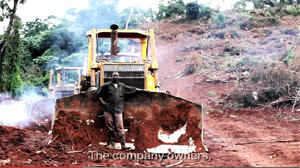 In Kalangala, Uganda, John Muyisa woke up one day to find bulldozers clearing his land to plant oil palms. 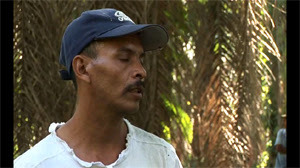 John and his community have preserved their forests and lands for generations. Now their way of life is at risk. Only available in English. on their culture and on the prospects for the future generations. Only available in English. 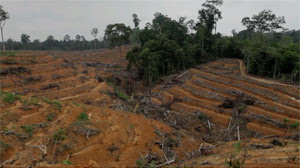 A look at the devastation wrought by illegal land grabbing for palm oil plantations in Indonesia. Only available in English. of the abuses of oil palm company First Resources Ltd thought its subsidiary PT Borneo Surya Mining Jaya (PT Borneo). almost 9,000 hectares of forest and agricultural lands were flattened. Fences were put up, barring indigenous peoples from entering their own ancestral land. This is the story of Melikin. 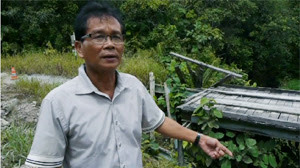 The story of many indigenous peoples in Sarawak, Malaysia. Only available in English. 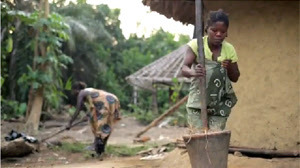 achieve energy independence, as well as a tool for poverty eradication. 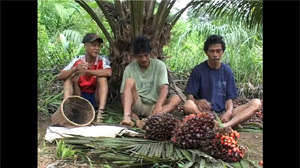 thousands of hectares of lands in the province have been set aside for jatropha feedstock and oil palm. of constant threat faced by peasant farmers in the Bajo Aguán region of Honduras. 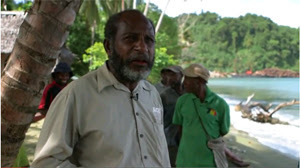 Video about the struggle of the Malind people against the MIFEE project in West Papua, Indonesia. 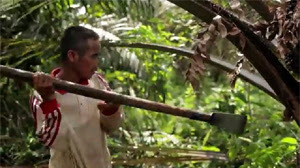 Alex Mahuze is a Malind tribesman and a sago farmer in Merauke. His clan has for generations lived in harmony with nature. which ironically harms the environment. He lost his lands and his culture is threatened, but Alex fights on. Only available in English. 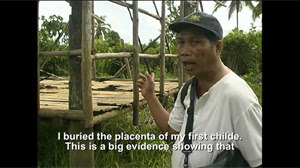 losing their land and natural resources to illegal logging operations. and local NGO struggles to take back what is rightfully theirs.